 BREAKING: Antifa mob currently outside of Tucker Carlson’s home! Last edited by Airbornesapper07; 11-07-2018 at 09:12 PM. Antifa mob outside Tucker Carlson's house harassing his wife and 4 children. “Tucker Carlson we will fight, we know where you sleep at night!” More material for Trump's 2020 campaign video. Newmexican, Beezer and Judy like this. 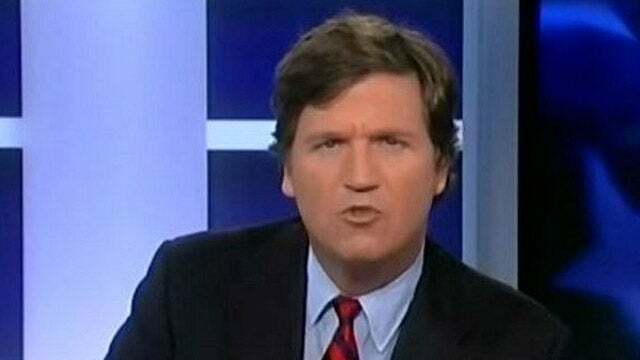 A Leftist Antifa mob is currently outside of Fox News’ Tucker Carlson’s home shouting “racist scumbag leave town” and “we know where you sleep at night, we will fight.” Tucker Carlson has 4 children. They could be terrorizing his children for life right now. Time for a paddy wagon to show up and remove them. They are assaulting his family if the family FEELS threatened. ( definition of simple assault) they re also trespassing and creating a nuisance. They should spend some time in jail... so some of them would miss work at their government jobs. IMO. Airbornesapper07, MW, Beezer and 1 others like this. They’re not protesters. These are home invaders. RUSH: They're not protesters. These are home invaders. Daily Caller: A Mob Showed Up Outside Tucker Carlson's House And Ordered Him To 'Leave Town'. Last edited by Airbornesapper07; 11-09-2018 at 05:26 AM. Throat punching is just a joke, huh? @lacymacauley seems to think so, but our footage seems to say differently. What do you think? Smash Racism DC, the violent antifa group that confronted @Tedcruz and his family and then threatened them, deleted one of their more incriminating statements from @Twitter. The threat is still live on their @Facebook page. Overheard in one video is a woman saying she wished she had brought a “pipe bomb” to Carlson’s house. 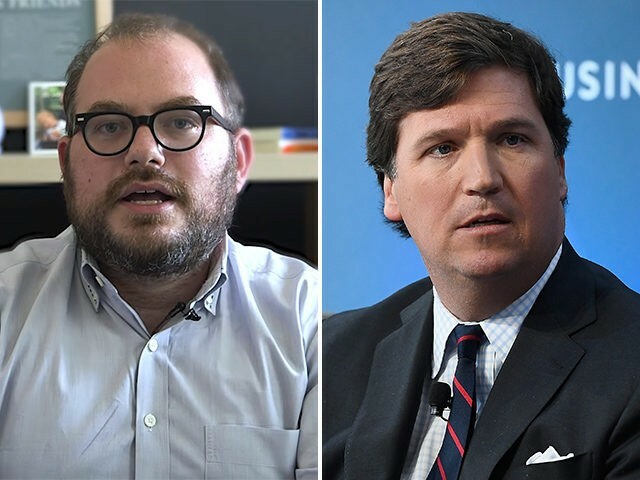 Thankfully, Carlson’s four children were not at home when Antifa struck, but Yglesias obviously feels Carlson’s entire family, including his children, do not deserve empathy when terrorized. Oddly enough, Yglesias does appear to empathize with an apparent illegal immigrant who lives in fear of deportation, even though she has broken the law and is living illegally in the country. I met a woman who didn’t leave the house for months because she was afraid of being picked up by ICE and never seeing her US citizen kids and husband again. What sense was there in terrorizing her family? Yglasias only objected to the terrorizing of Carlson’s family as a bad tactic. Presumably, if terrorizing Carlson’s wife and four children was an effective tactic, Yglesias would be fine with it. Yikes RT @mattyglesias: Conventions around dead people are ridiculous. The world outlook is slightly improved with @AndrewBrietbart dead. Vox Media is backed by big corporate money, including Comcast-owned NBCUniversal to the tune of $200 million — an investment announced in 2015. The company laid off 50 employees in February 2018. Matt Bracken and Michael Graves join Owen Shroyer and Alex Jones live to discuss the escalating attacks on conservatives and Republicans by ANTIFA street thugs that are directed by the leftist mainstream media and various "community organizers" that support these violent mobs financially. Tucker Carlson: Bush not serious about immigration!